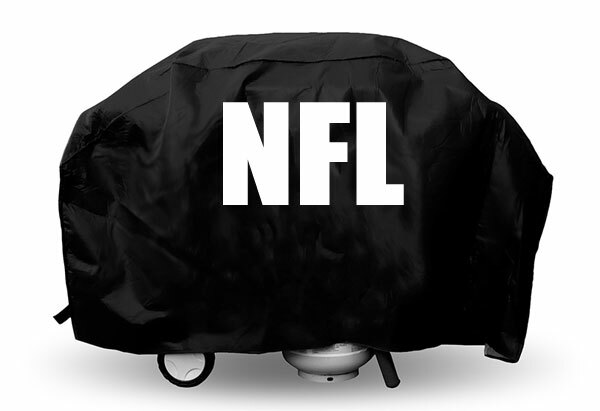 All of the sports team grill covers we offer are Top Quality Grill Covers, that are manufactured by Rico Industries. They offer two styles of covers; the deluxe and the economy cover. The deluxe grill cover is made of a .15 mil thick vinyl with 3/4" flannel lining to protect stainless grill finishes. The stitching is tested at 30 lb. pull strength. The hook and loop velcro closures hold the cover in place during high winds. 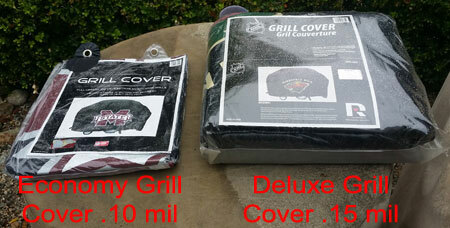 The economy grill cover is .10 mil thick, both cover have a large team logo printed on both sides. These sports covers fit most grills up to 68" length, 35" high and 21" wide. Rico Industries is officially licensed by the NFL, MLB, NBA, NHL and Collegiate Teams. So, show off your favorite team while protecting your barbeque grill at the same time!